Oligonucleotides are short chains of single stranded or double stranded nucleotides, either DNA, RNA or a combination and in some cases chemically modified to improve their application as a drug substance. They are applied to modulate endogenous mechanisms of DNA and RNA processing, thereby modifying disease pathways at the genetic level, rather than at the protein level like conventional drugs. 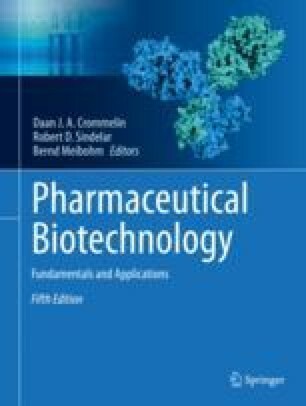 Factors that limit the application of oligonucleotide drugs are immunogenicity, instability and poor pharmacokinetics. In this chapter, several mechanisms are described of how oligonucleotides can act as drugs, as well as several approaches to overcome the limitations that are inherent to this drug class. A recent advancement is the formulation of oligonucleotides in lipid nanoparticles, an approach that has proven to be successful and has led to the first marketed siRNA drug.